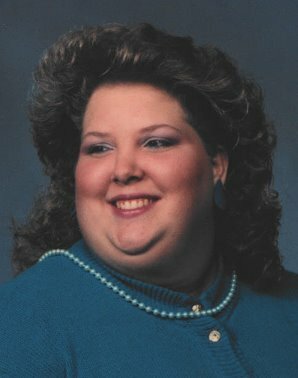 Tracey L. Deisenroth, 51, of Fremont, OH passed away at her home on Sunday, October 7, 2018. She was born September 12, 1967 in Sandusky, OH to Russell and Donna (Allen) Hush. She was a 1986 graduate of Clyde High School and Vanguard Vocation Center. Tracey married William L. Deisenroth on August 18, 1991 in Clyde, OH and he survives. She worked at K-Mart, Starbucks, Wendy’s and McDonalds in Clyde, OH. Tracey enjoyed plastic canvas crafts. Tracey is survived by her husband of twenty-seven years, William L. Deisenroth, Fremont, OH; children, Chelsea Deisenroth and Matthew Deisenroth both of Fremont, OH; father, Russell Hush, Clyde, OH; siblings, Loretta (Doug) Cochran of Georgia and Russ Hush of Florida. She was preceded in death by her mother, Donna Hush and brother, Dion Hush. Visitation: Thursday, October 11, 2018, from 4 – 6 pm, at Wonderly Horvath Hanes Funeral Home and Crematory, 425 E. State St, Fremont, OH. Services will follow at 6:00 pm at the funeral home. We went to grade school together many years ago. Such a wonderful woman. My condolences to the family during this time. We used to ride the same school bus every day. I really enjoyed our times talking on that bus! So sorry to hear this news. She was too young! She was my sister in law. Such a sweet person. She will be greatly missed. Now she can finally rest in peace. My deep condolences to the entire Hush and Deisenroth family. Loretta and family, Jimmy and I are so sorry for your loss. Although I never got to meet Tracey, I felt like I knew her. No words I can write will make this easier for you, but I pray for God to give you peace and comfort in your hearts.